Due to the safety critical aspect of Brake Discs – All Brake Discs must now be purchased in pairs where required. This enables optimum performance & ensures the longest life for your new parts. Delivery not available to Germany. Most modern cars have disc brakes on the front wheels, and some have disc brakes on all four wheels. The function of the brake disc is to slow down or stop the car. When the brake pedal is pressed the brake pads "squeeze" the brake disc which generates friction. 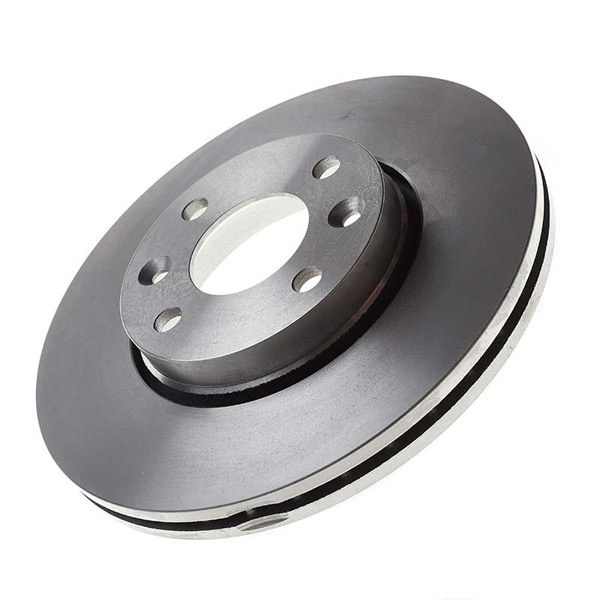 Brake discs should be replaced when they are worn below the minimum thickness, worn unevenly, warped or heavily scored. Should be replaced in pairs with new brake pads fitted at the same time. PLEASE NOTE: Orders placed after 4pm, will be processed the following day, adding 1 working day to the delivery service. When selecting 'Next Working Day' - Orders placed after 4pm on a Thursday, will be delivered on the next working day which is the following Monday. For orders placed on a non working day (Saturday or Sunday) please add 1 working day to your delivery date. You will have the option on checkout to upgrade your delivery to one of these services:Next working day delivery excludes items which are not marked as in-stock. * Free Delivery is not available for Over-Sized parcels, such as Exhausts, Radiators & Headlamps - For details on these items please see the 'Oversized Items' section below. If your item is Over-Weight (Over 20kgs) you may incur an additional charge. If this is the case you will be contacted once your order is placed. Due to the volume of economy deliveries, please allow a full 7 working days before contacting our customer service centre. All delivery times are aproximate and can be delayed due to circumstances out side of our control. Alternatively you can call the export team on 0203 788 7845, and they will be happy to help with your enquiry and quote to export outside of the UK. At Car Parts 4 Less we hope that you are happy with your purchase, however we know that sometimes you will need to return or cancel an item. You can return your purchase to Car Parts 4 Less warehouse. Car Parts 4 Less must be informed of any return requests within 14 days of the original order date. Before returning your item(s) please contact Car Parts 4 Less Ltd for a Returns Authorisation Number. For international returns queries, call us on 0203 788 7845. Find out more about returns. The Eicher Premium range carries an extended 24 month, 24,000 mile warranty when fitted in complete axle sets (meaning EICHER Premium pads and discs are fitted at the same time, and purchased on the same, or related invoices) to allow you to fit them with confidence. The entire range of Eicher Premium Pads &amp; Discs are fully R90 compliant so there is never a comprimise on safety or quality. Check stock at your local store.